Another year means another gaming marathon at Synectics Solutions (#3 so far!) and for the first time (and in less than 12 hours now!) I take on the challenge by spending 24 hours gaming – all in order to try and raise some money for a charity that is close to mine and many others hearts, the Douglas Macmillan Hospice. 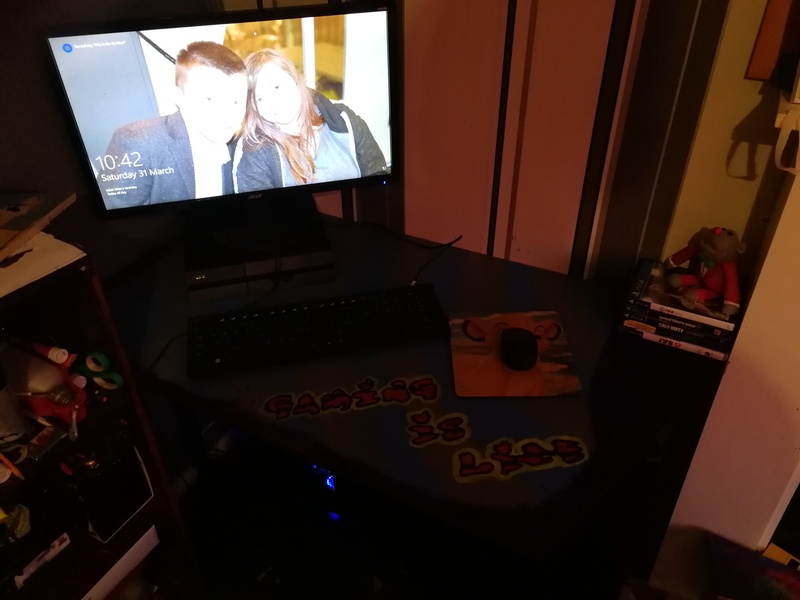 You can support me by donating through JustGiving at https://www.justgiving.com/fundraising/niall-24-hour-game-marathon-2018 – if you want to see our Synectics team effort please visit the team page at https://www.justgiving.com/companyteams/synecticsgamingmarathon2018. Thank you to those who have already donated, it means a lot! So far as I write this, I’ve raised £75 of my £100 target which is great considering this is prior to the event! If you haven’t already please donate. If not for me or the challenge, just for the DMH, who help so many people and so many families in times when they need it most. If you are not aware of who the Dougie Mac are or what they do, please view their website https://www.dmhospice.org.uk/. I will be playing a mixture of games between the PS4 console and the PC and keeping myself awake on plenty of coffee and plenty of snacks! I will mainly be playing on GTA V on the PC but will be playing other games throughout the event (likely FIFA, Destiny, Watch Dogs 2, + more) – I know there are also going to be some challenges this year so that will be fun to take part in, as if gaming for 24 hours isn’t challenging enough! If you would like to join me during the event, feel free – I could use the company! My STEAM, GTA V and PS4 gamertags are all ‘MrNiallyD’ and/or you can join me on my Discord server at https://discord.gg/sx44gfg. This years marathon will take place on 26th October at 10am. You could also make a cash donation/bank transfer to me and/or directly to the charity if this is preferred. If you would like your donation to be counted as sponsoring for the event, then please let me know and I can input the information to the justgiving page so we can see a live total. You will also be able to donate £1 – £10 via SMS message – information to make donations via other methods than justgiving will be given on request. 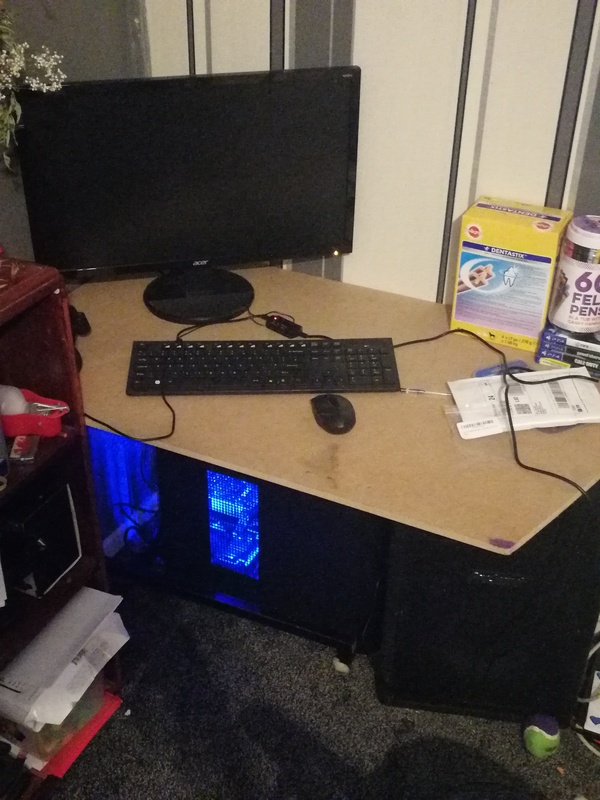 Whilst I had it apart, I also had another idea. 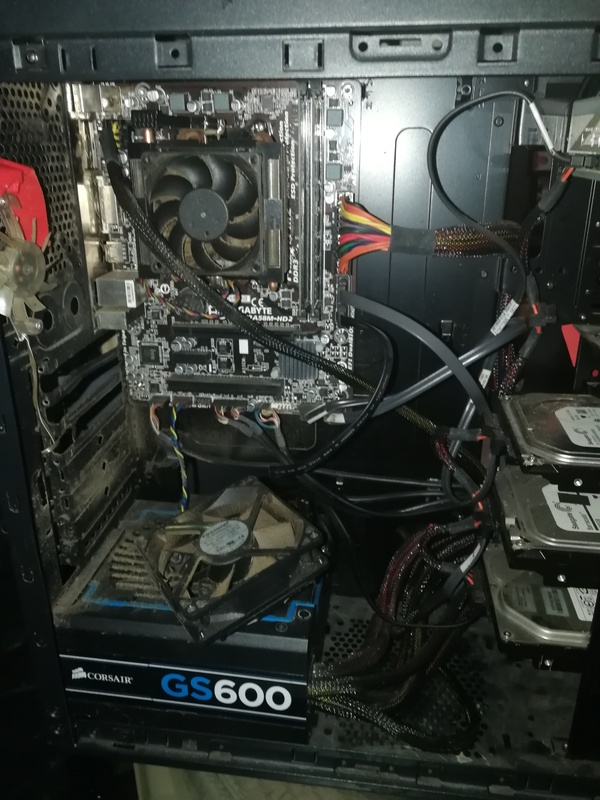 Since my computer was previously only used as a home file server also connected to plex and mainly used for streaming – and now I was gonna try and get back into PC gaming – I would steal the SSD from my laptop and put it in the computer to give it a nice boost. 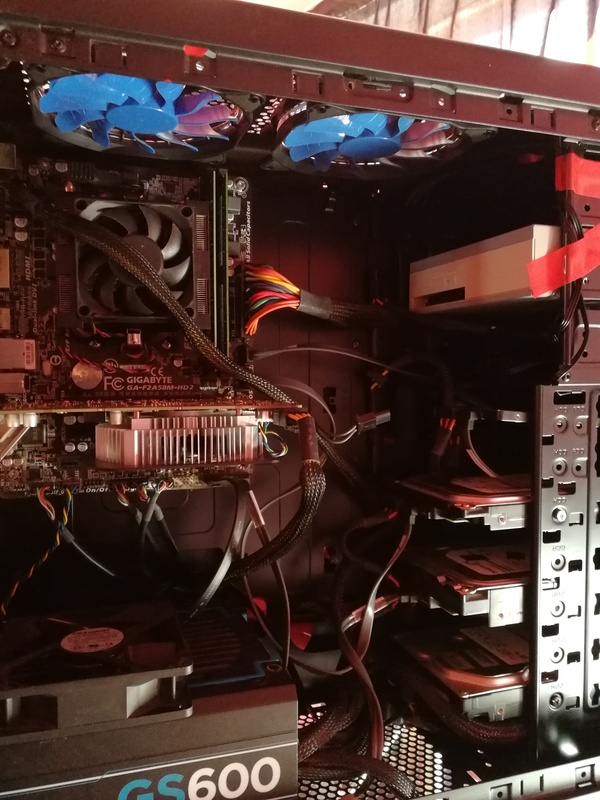 I kept the existing drives in the PC for storage, but added the SSD – removing the DVD/RW drive from connectivity. I must admit this photo was taken before the SSD was actually installed. I must also mention that since the above photo, I have cleaned out the CPU fan and heat sink with an airduster. 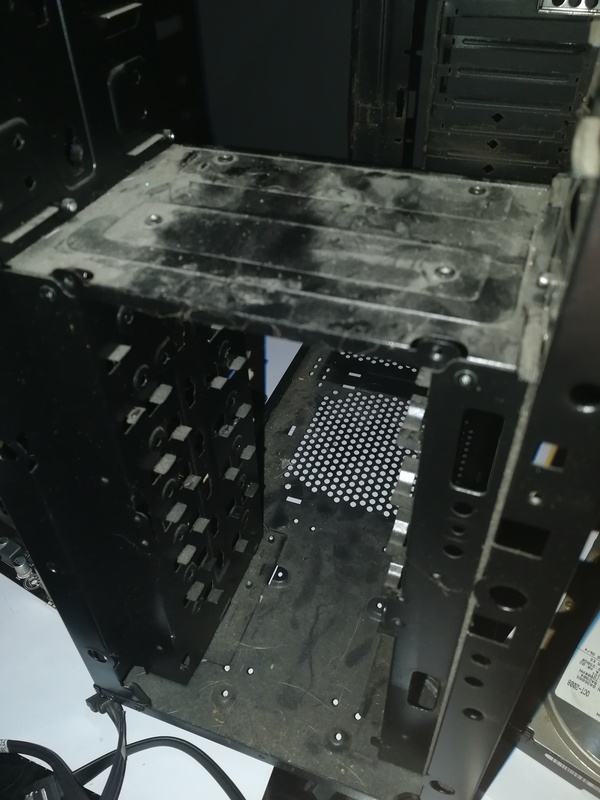 The reason it wasn’t done when the case was pulled apart is I didn’t want to upset the seating of the processor as the thought of having to re-do that is a painful one. Another thing that troubled me always was fans. 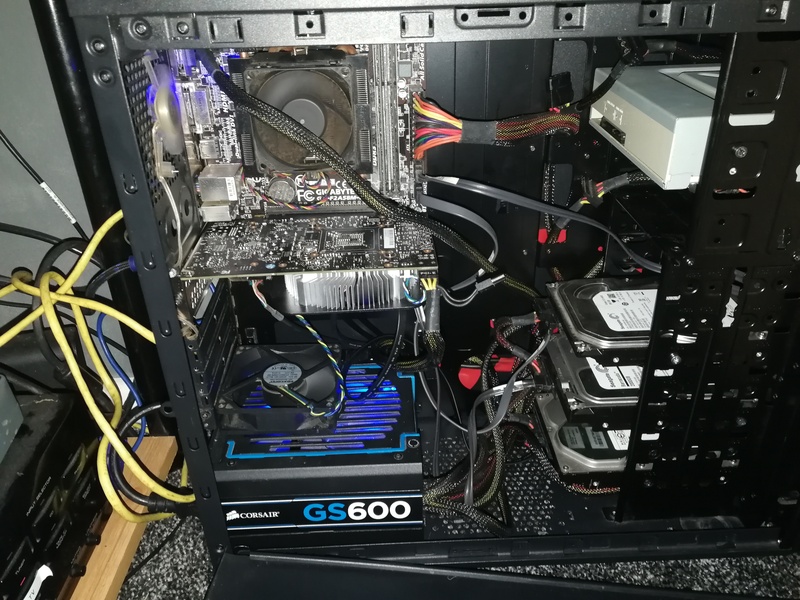 The cooling set up I had before wasn’t ideal – it consisted of various USB fans, plus the stock CPU and case fan that you see in the picture. 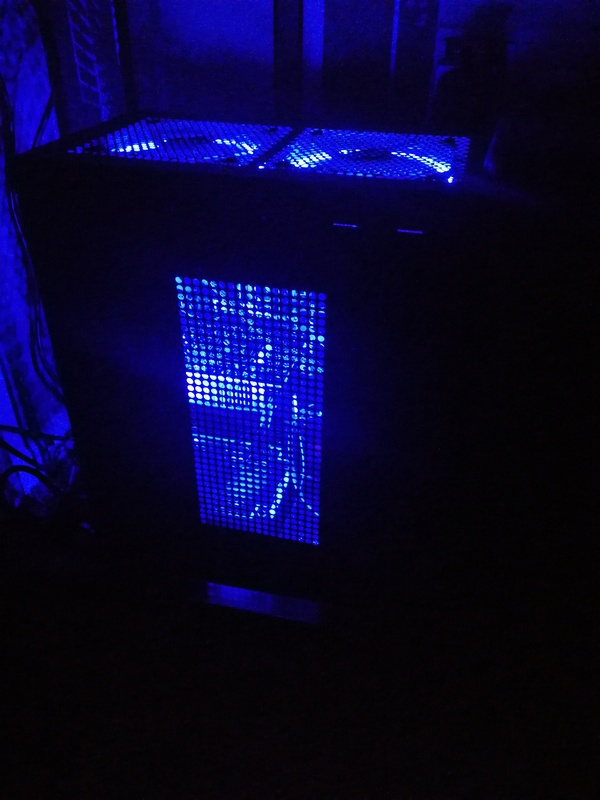 And for gaming, I’m gonna need some more intensive cooling than just that. 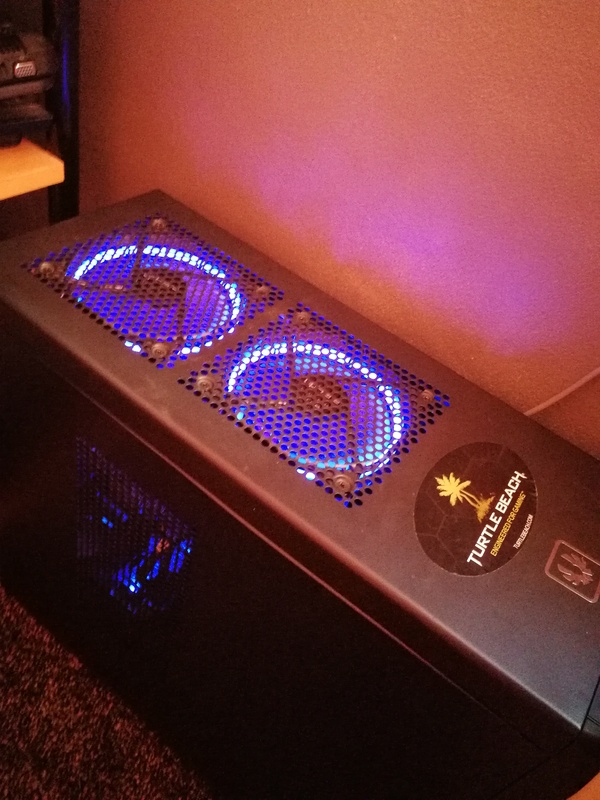 I also made the decision to light up my case blue – considering the PSU already does this and the USB fan that i installed to the back of the case does.